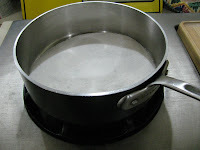 Set up eight 4-oz. ramekins in a baking dish large enough to hold them, with sides at least as tall as the ramekins (OK, I only had seven ramekins. Someone broke one.). 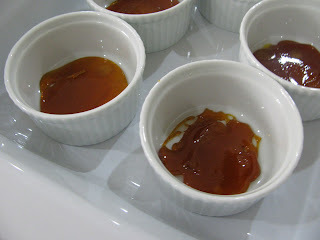 Working quickly, spoon a couple spoonfuls of the caramel into each of the ramekins. It will solidify quickly. 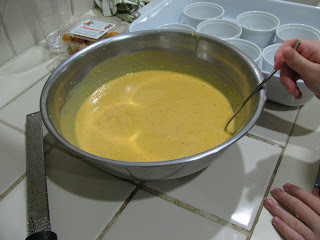 Then pour the flan mixture into each of the ramekins. I had almost exactly 4 cups = 32 oz., which would have been perfect for eight ramekins - if I still had eight. 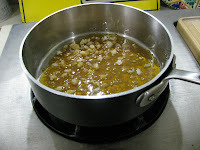 These can be refrigerated for service later; I just re-warm them in a pan filled with hot water half-way up the sides of the ramekin on medium heat for about 5 minutes to melt the caramel. 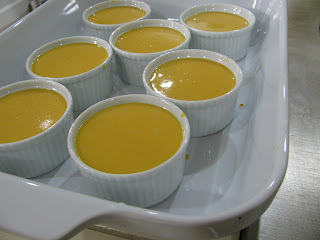 The flavor of these is spot-on: it has the combination of rich flavor and light texture of a good flan, and the flavors of the canistel come through. Next time I might up the nutmeg and cinnamon a touch. 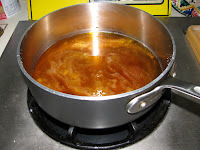 I'd also like to work on the caramel a bit, as it stays pretty thick and sticky, and some of it doesn't free from the ramekin even after warming. But Little Miss F and Frod Jr. tell me this one's a keeper. [*]Week 6? I know, it seems like we're going back in time here. But those canistels took a while to ripen. 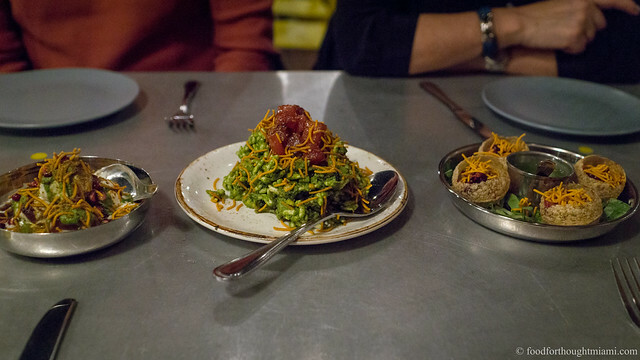 This looks good. 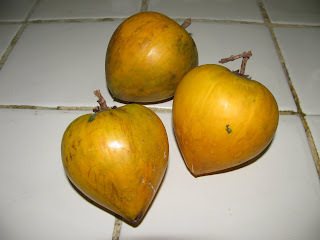 I never quite knew what to do with canistel when I was getting CSA. This is making me want to go buy some. We got more last week, but, sorry, Little Miss F doesn't want to share. Nice post, Frod. 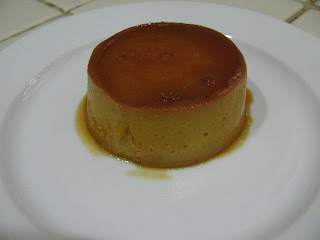 I've never been a real fan of flan but it's 10am, I'm a little hungry, and I want to taste that picture I see on the blog haha. And you're right, that melted sugar is like molten lava. I learned that lesson the hard way once before. 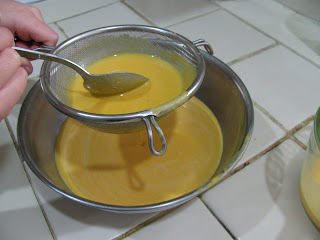 Bill (Tinkering with Dinner) and I are still trying to prepare the canistel in a savory dish but I thought it too sweet to put into a ravioli (last season) Bill insists that roasting will cut the sweetness. I make a mean coconut muffin with the canistel, very moist and delicious. 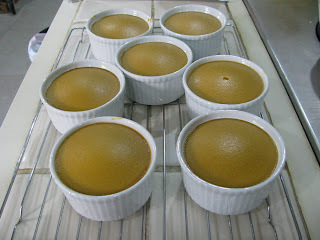 I will try the flan with the next batch, I love flan! Thanks for that!